On June 14 in a ceremony in Washington D.C, Pati Ruiz Corzo won the National Geographic Society/Buffett Award for Leadership in Latin American Conservation. In 1987, Pati founded a grassroots conservation organisation in Mexico, Grupo Ecológico Sierra Gorda (GESG), along with her husband and local people to save the Sierra Gorda bioregion from destruction by unregulated development. Since 2007, WLT has been working in partnership GESG to fund the creation of nature reserves in the region and support local reserve rangers to protect the wildlife from illegal hunting. 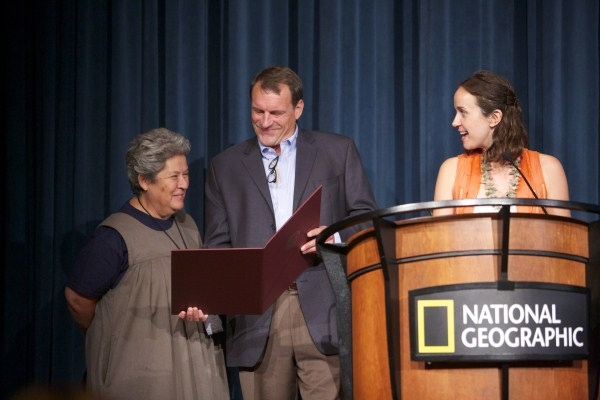 Pati Ruiz Corzo, founder of WLT’s partner in Mexico, is recognised for her leadership in Latin American conservation © National Geographic. Here at WLT we are delighted that Pati and her team’s hard work has been recognised internationally; from working with them so closely on the development and management conservation projects, we have a direct insight into the difficulties they overcome and the great successes they achieve. The National Geographic/Buffett Awards was established to recognise and celebrate unsung heroes working in the field; they acknowledge the winners’ outstanding work and lifetime contributions that further the understanding and practice of conservation in their countries. The Sierra Gorda has been validated by the Rainforest Alliance and is the first forest carbon project to achieve this in Mexico © Roberto Pedraza Ruiz. Pati and her team have developed online and on-site courses that allow others to replicate the GESG model, which is now being applied beyond the borders of Mexico. 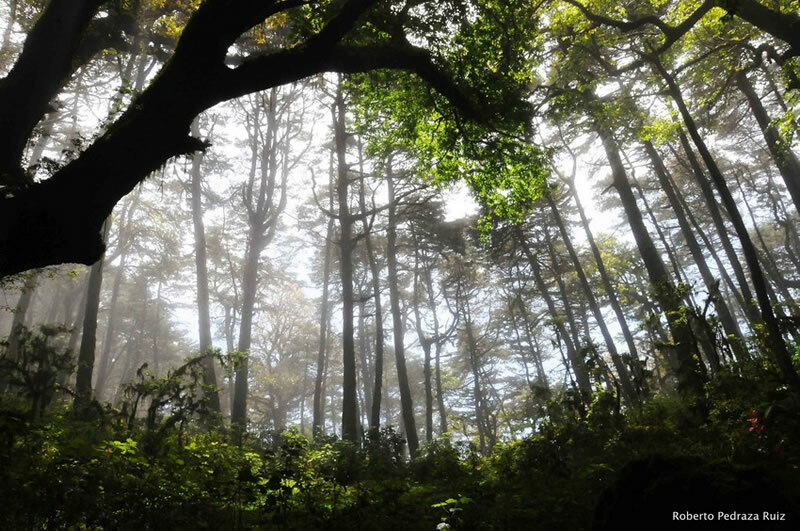 She has also pioneered the concept of valuing the ‘natural capital’ of the region — the Sierra Gorda has been validated by the Rainforest Alliance and is the first forest carbon project to achieve this milestone in Mexico. 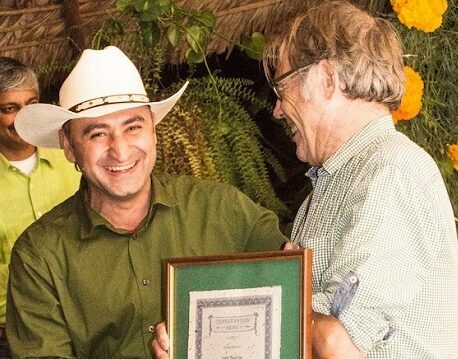 WLT would like to congratulate Pati and the team at GESG for winning this award and thank them for their continuous efforts to save as much of the threatened Sierra Gorda as possible. 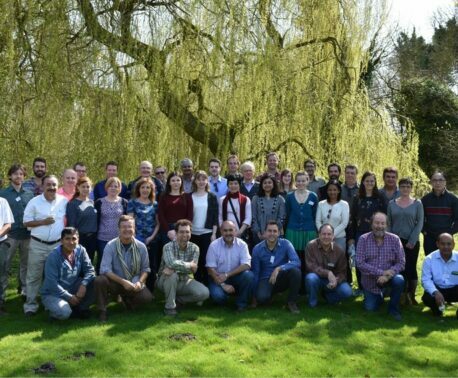 It is an inspiration to work in partnership with such a successful and innovative conservation organisation.